Conducted by India’s primary association of software companies, the second in a series of deep dive sessions on Big Data and Analytics focused on how risktech innovations are helping companies in various industry sectors leverage risk analytics to address the challenges of managing risk across operations, regulatory compliance, supply chain, finance, ecommerce, and credit. 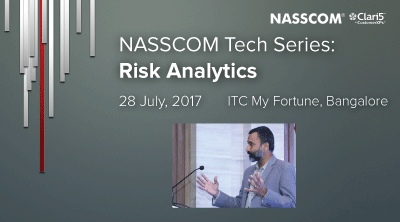 The session provided a forum to understand industry best practices and showcased the top 3 case studies in risk analytics. CustomerXPs presented its case study on how one of India’s prominent banks leveraged the company’s product innovation Clari5 to unify their Fraud Management and Anti-Money Laundering enterprise strategy with a single platform.